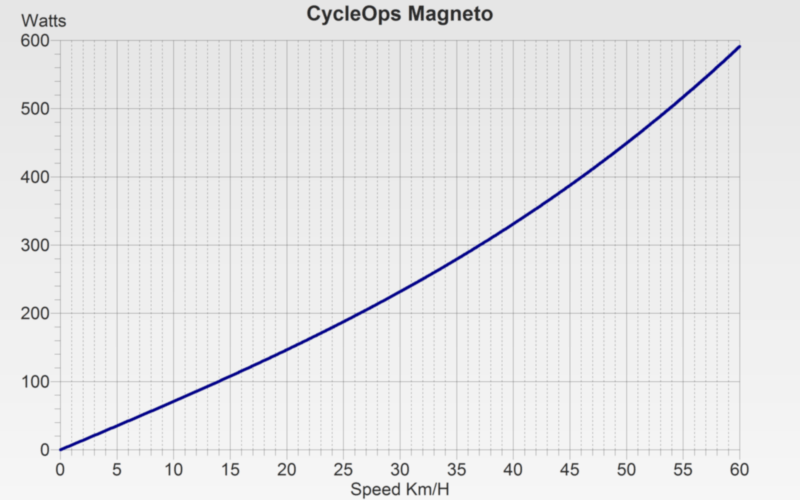 February 20, 2018 1 comment on "How does Zwift zPower estimates compare with CycleOps data for the Magneto trainer?" People love to point out that I’m riding Zwift Power – which simply means that Zwift is estimating the watts that I’m generating by comparing my speedometer sensor, cadence sensor and type of trainer. Zwift is multiplayer game for cyclists. It works by displaying an Avatar of you cycling as you pedal away on your home trainer. It’s great because not only does it make training at home fun, you can ride with people all around the world. However, to make the experience somewhat fair and realistic Zwift uses a rider’s power, weight and height to accurately determine their speed. Now, with all that data, you can suddenly race against any rider in the world on Zwift. And, as you’re likely realizing, hence the deal about Zwift Power. A lot of cyclists get frustrated when they see other riders using Zwift Power in the races. They are working hard, their watts are showing an accurate number, but how do you know if Zwift is any good at estimating the claimed watts of the riders you’re competing against. Now Zwift claims that they are pretty good. They say they’ve tested every trainer approved for Zwift Power and at worst it’s 10% off, depending on the condition or tolerance of your home trainer. Eric Schlange from Zwift Insider shared, “The good folks at ZwiftHQ put many hours into testing an entire room full of classic trainers back in Zwift’s early days (trust me, I’ve seen the room! )” However, from experience, they may need to test them again – which I’ll get into shortly. Quick caveat: I have used both the CycleOps Hammer and Tacx Neo smart trainers with Zwift and can only compare power data with my classic trainer anecdotally using FTP efforts, Heart Rate and feel. So, even if they have tested every smart trainer and classic trainer, there is still a lot of room for error. Which brings me to my experience. I use the CycleOps Magneto Trainer. It’s a simple lightweight magnetic turbo trainer. CycleOps posted power data of their trainer, which I then used to create a power curve graph with good ol’ pencil and paper. As you can see, according to CycleOps, it starts off with a curve and then becomes a very linear graph as the speed increases. This is something you can feel as well. So how does Zwift estimates compare with CycleOps? So how does Zwift estimates compare with CycleOps data? Well this was somewhat surprising. *Each speed interval was recorded on a Garmin 520 device and on 0 degree gradients in the Zwift world with ample time to compensate for acceleration/deceleration. Back to the caveat above. Before recording this data, I did notice when switching from smart trainers to the CycleOps Magneto trainer that Zwift seemed to be over estimating power when riding at 200w. I would recover much faster after efforts (HR) and it also felt too easy. However, on the other end of the spectrum, during hard efforts, they seemed to be more challenging on the classic trainer. For example, on the Hammer and Neo power trainers it’s possible to spin above 1000w’s. However, on the CycleOps Magneto trainer Zwift caps power at 550w. So my conclusion from this data is that Zwift overestimates power at the lower end by much more than their claimed 10%. For a rider with an average weight, they will have an advantage in the B, C, or D classes. Based on this test, riders using zPower have a disadvantage when it comes to efforts over 550 watts. Such as when sprinting, attacking or during spurts on hill climbs. I hope you enjoyed this analysis. Please let me know if you have experience comparing a classic trainer with actual power data. What do you think? Is Zwift Power going to be an important factor to the future of Zwift races? Update: I got hold of a power meter and did a direct comparison test between zPower and real data over here. 1 Comment on "How does Zwift zPower estimates compare with CycleOps data for the Magneto trainer?"